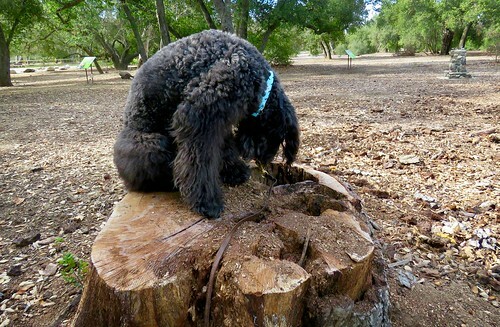 "This morning Mom took me out to O'Neill Regional Park where there are almost no people and lots of birds and animals. I got to sniff, sniff everywhere and smelled amazing things. Once I saw something quite scary, SEE BELOW, and froze. I pulled Mom away from that spot. We saw some big round paw prints near so I know what I think it was!"